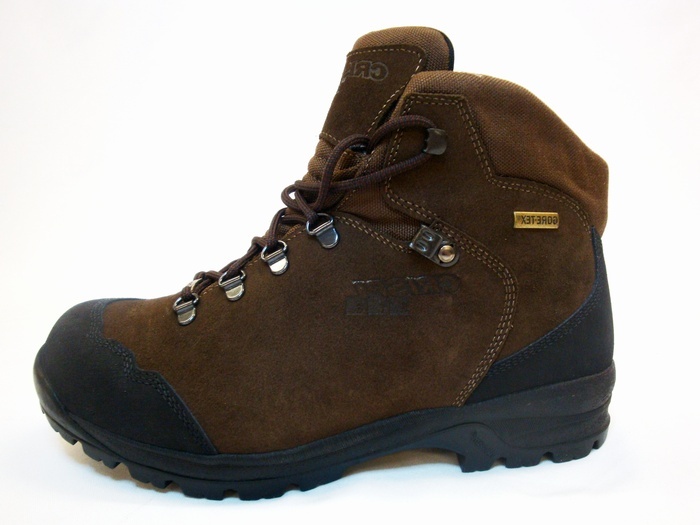 Suede and Cordura ankle boot. Gortex lined with a Vibram sole. Brown.